Many people say "Ugh!" when you talk about the Quality Management System, particularly the audits and registration. Every company has a Quality Management System, whether they designed and registered it or not. 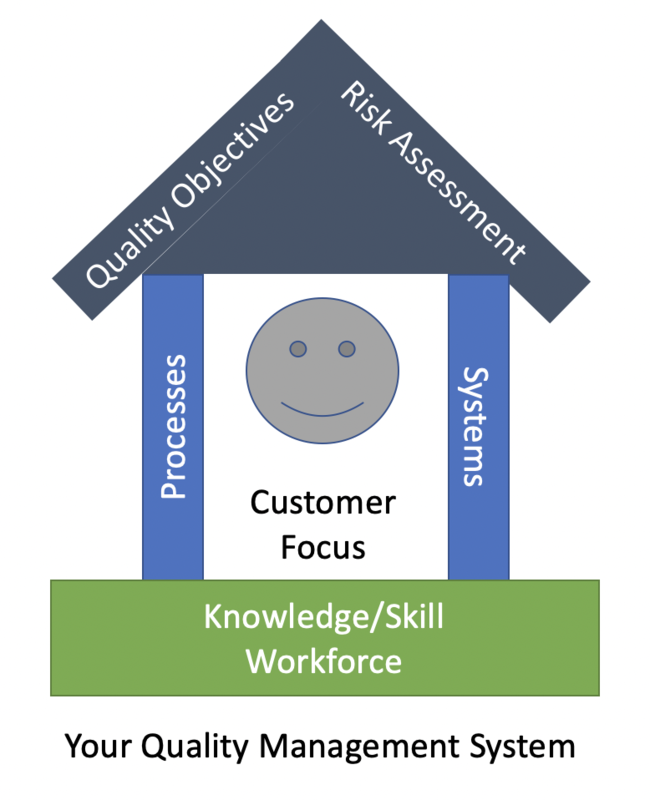 Poor quality costs you time, customers, employees, and money. Why not make yours work for you instead of the other way around? The 2015 edition of the standard has a number of significant changes, all in the right direction. • The standard no longer requires as much documentation. • Leadership has a stronger role enabling you to tailor your QMS to your unique needs. • Process orientation and continuous improvement are more significant in assuring your QMS continues to meet your needs. • A risk management system is required and includes the expectation that opportunities may also challenge the performance of your QMS. Check out this article on deciding whether to register. Keeping in mind that your QMS is intended to enable you to consistently deliver on your customers’ requirements, who wouldn’t want to design a QMS compliant with ISO 9001 and gain the recognition of registration. Your customers and your suppliers will thank you. 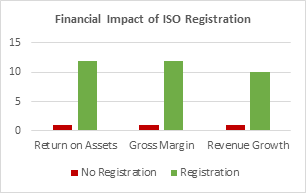 ISO certification has been shown in a variety of studies across many industries that companies registered to ISO 9001 have 12% or better return on assets, a gross margin 12% higher, and 10+% revenue growth over the three years following initial registration as compared to nonregistered competitors. Download an explanation of the major clauses of the ISO 9001:2015 standard. If you need some help evaluating or upgrading your current system or you are new to Quality System Design, contact Next Target.